Note: Apollo is the god of light, not the sun. 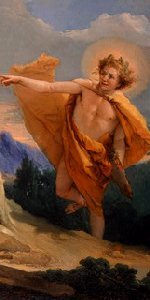 Helios (Sol in Roman myth) is the Greek god of the sun. 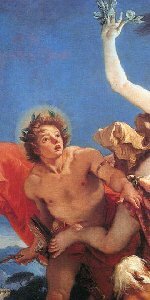 It wasn't until 3rd century BC that Apollo became identified with the sun, and became known as Apollo Helios. 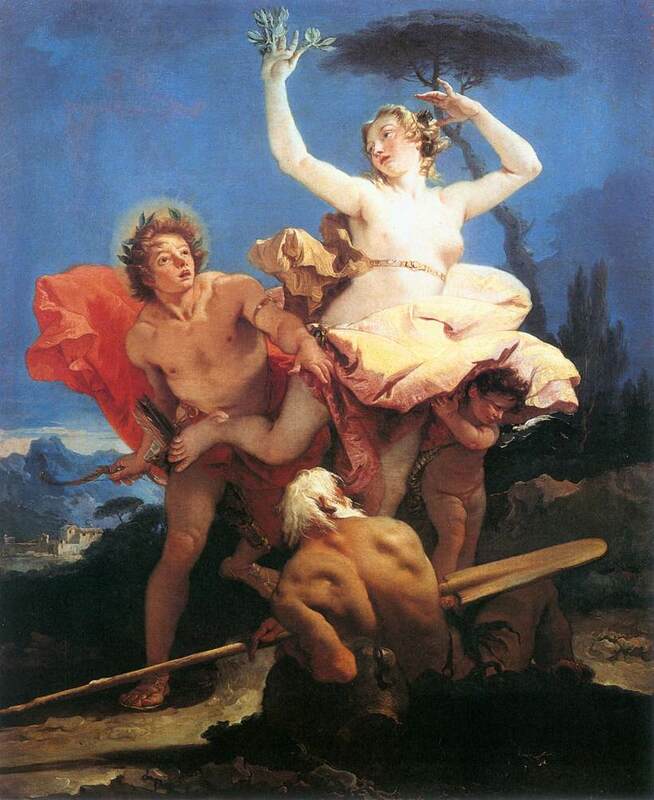 Apollo was the sun of Zeus and Leto and the twin of Artemis (Diana in Roman mythology). 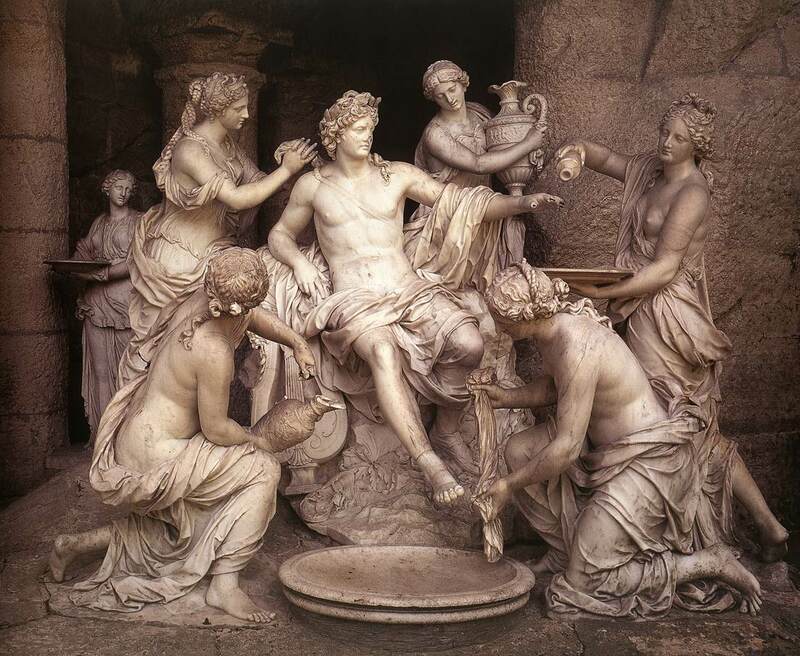 He was born under a palm tree on the Aegean island of Delos, which became a major centre of Apollo's cult worshippers. He had the gift of prophecy and his central temple was the oracle at Delphi where people could seek advice and prophecies from his high priestess, the Sybil. 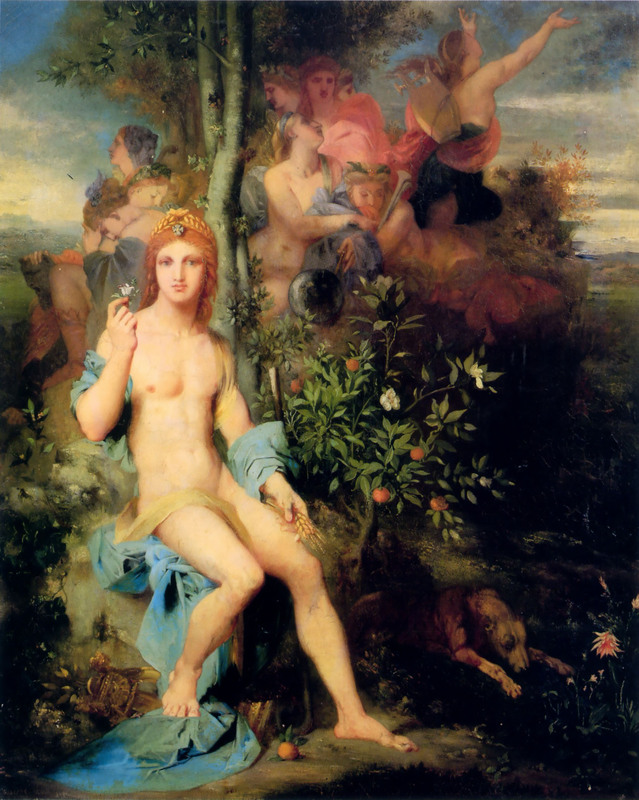 Apollo also is known as Pythian because he killed a giant python snake which had terrorized Delphi. 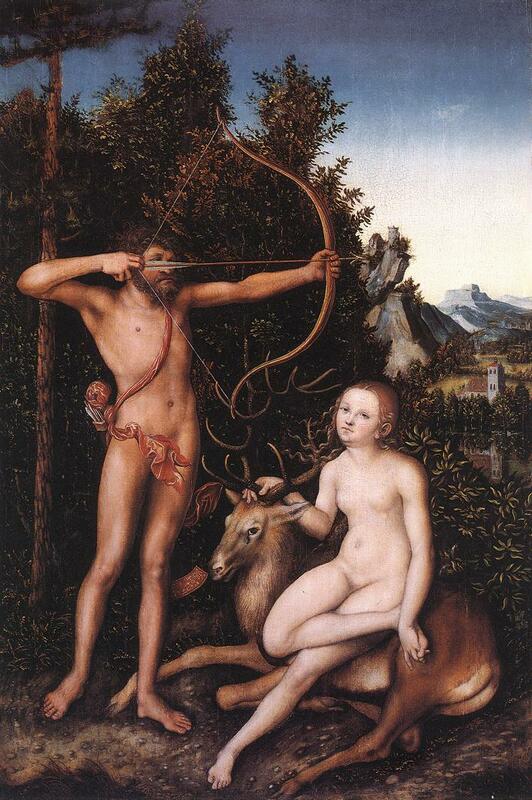 Apollo's arrows were said to cause illness and yet at the same time he was revered as a healer. 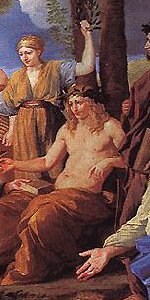 His son Asclepius was the main Greek god of medicine. 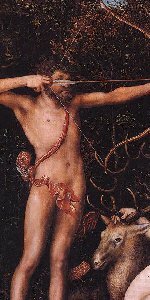 He was also a god of poetry, music and is frequently shown with a lyre and the nine Muses. He was also known as Phoebus (Shining One) because of his role as the god of light. 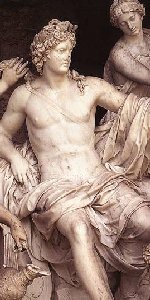 Apollo had many lovers, male and female. 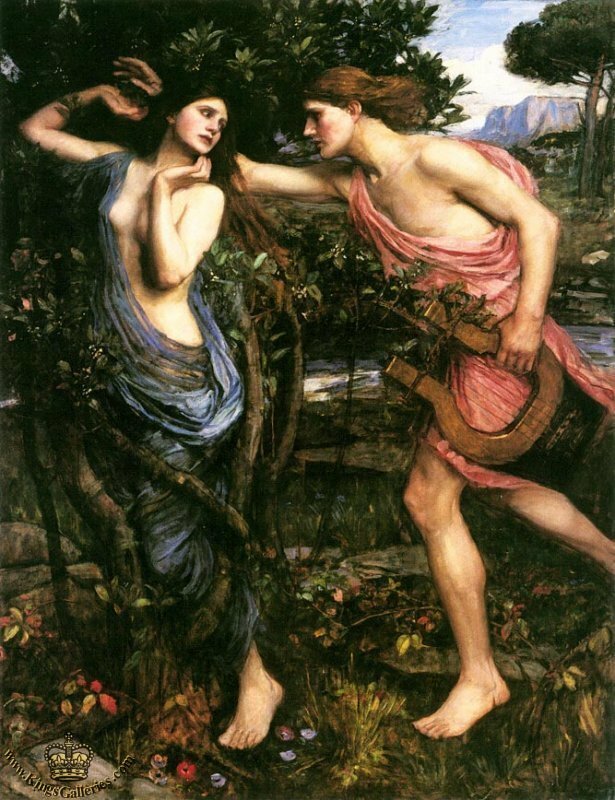 Apollo's most famous love story is the pursuit of the nymph Daphne. 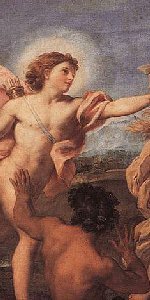 Eros (Cupid) wanted revenge for Apollo insulting his archery skill so he struck Apollo with golden love-arrows and pierced Daphne with lead arrows of hate. 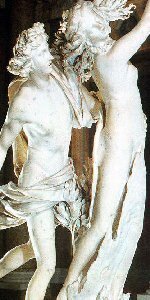 Daphne fled from Apollo until she reached the River Peneius (her father) where she prayed for his help. 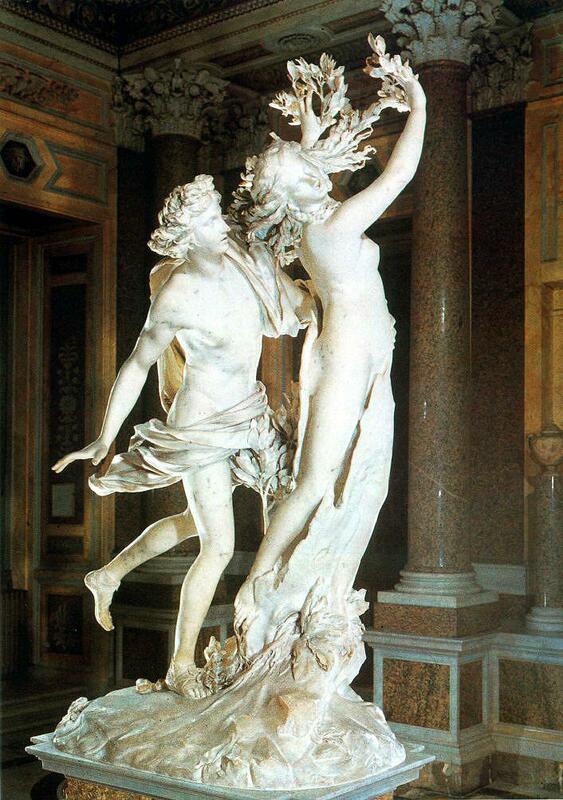 Just as Apollo grabbed her Daphne transformed into a laurel tree. 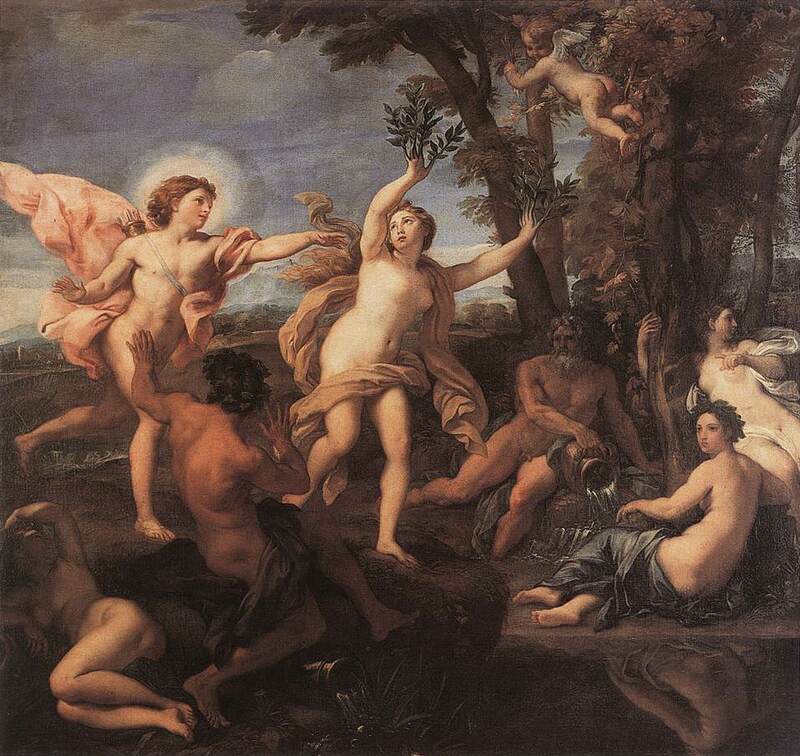 Apollo made the laurel his special tree and thereafter crowned himself with laurels. Note: Only Apollo wore laurels. Artistic renderings have shown other gods wearing laurel leaves, but these are inaccurate depictions. 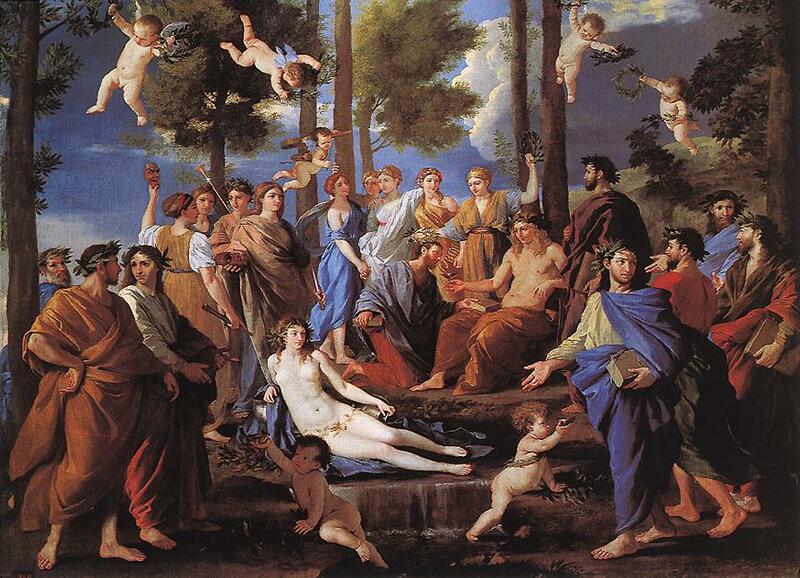 Apollo has more male lovers than all the other Greek gods combined. Many of his young male lovers died in accidents. A famous one is Hyacinth, a Spartan prince and athlete. 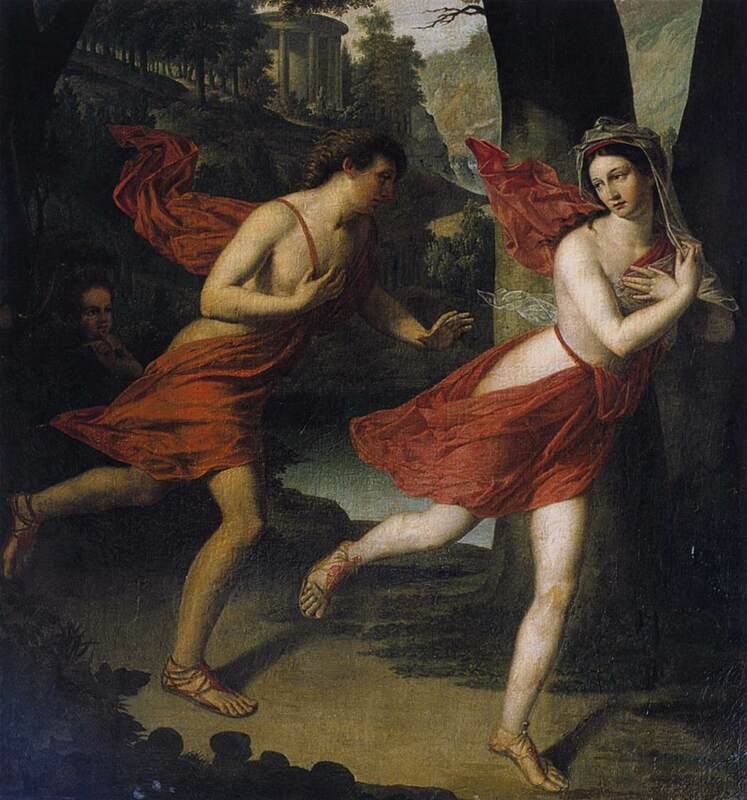 The wind god Zephyr also loved Hyacinth and in a jealous rage blew a discus off course and killed the prince. 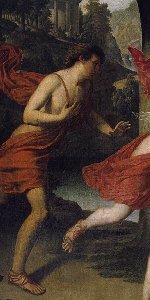 Apollo used Hyacinth's blood to create the flower that is named after him. 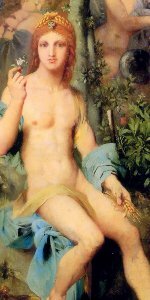 His other male lovers included Acantha, Cyparissus and Hermes. 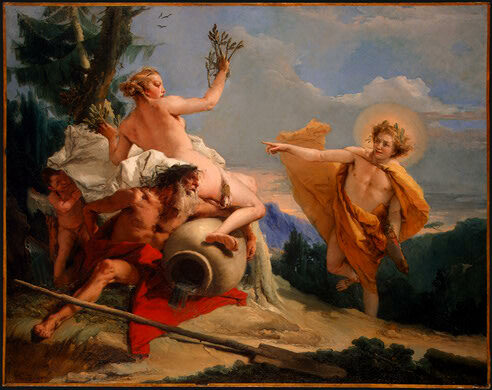 When Hermes was born he stole 50 cattle from Apollo by herding them backwards so that Apollo couldn't find their tracks. Later when Apollo finally found Hermes the young god became Apollo's lover and Hermes gifted him with a lyre made from a tortoise shell. Buxton, Richard. The Complete World of Greek Mythology. Thames and Hudson, 2004. Lodwick, Marcus. The Museum Companion - Understanding Western Art. Harry N. Abrams, 2002.